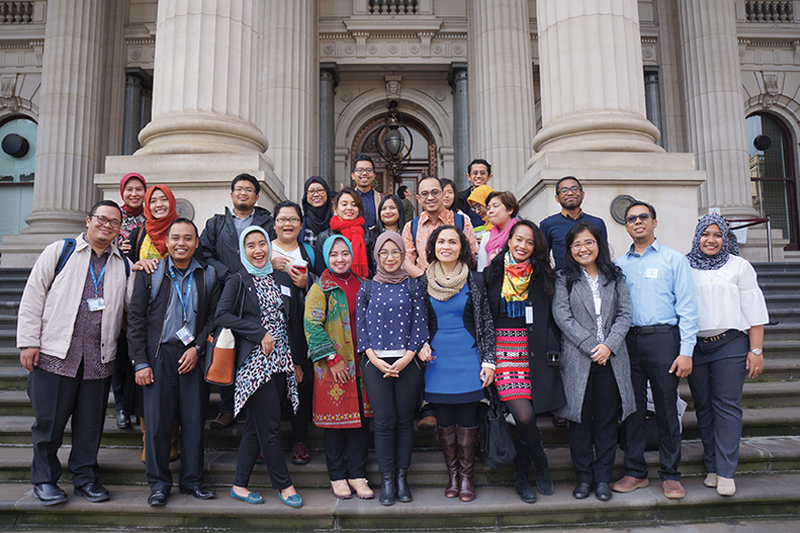 RIRI (Research Investment– Republic Indonesia) introduces Indonesian researchers to Australia’s approaches to research investment, addressing i) Why invest in research, and ii) How Australia invests in research. The activity will be a two-day workshop, where selected awardees will participate in a program of presentations, site visits, workshops and networking, facilitated by a research/governance specialist. Presenters will be drawn from the Australian Research Council, the Commonwealth Scientific and Industrial Research Organisation (CSIRO), the Australian Council for International Agricultural Research (ACIAR), the Australian National University and the Department of Industry, Innovation and Science. RIRI in 2017 was held in Canberra and sessions included discussions on the objectives of research and research institutions, how the Australian Government’s research investment is funded and managed, public vs private sector approaches to Research and Development, and the challenges for career researchers in Australia and Indonesia. This on-award activity targets PhD scholars with a view to positively influencing Indonesia’s approaches to research investment and facilitating mutually beneficial research/policy links between Indonesia and Australia. RIRI is scheduled for delivery in Canberra in October 2018.